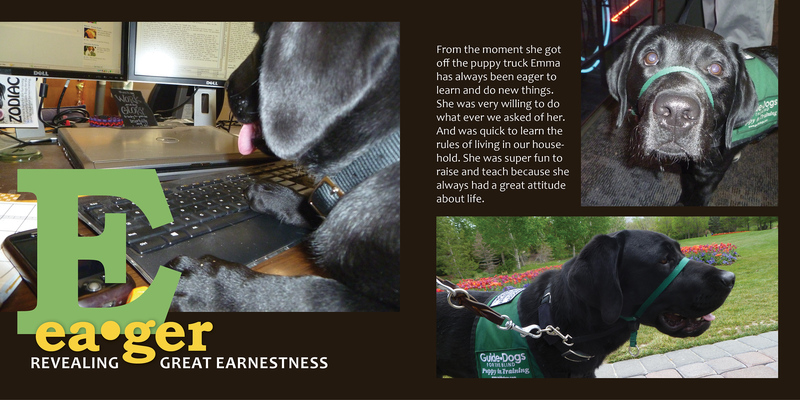 From the moment she got off the puppy truck Emma has always been eager to learn and do new things. She was very willing to do what ever we asked of her. And was quick to learn the rules of living in our household. She was super fun to raise and teach because she always had a great attitude about life.